Coping With Chickenpox and All That Itchiness! 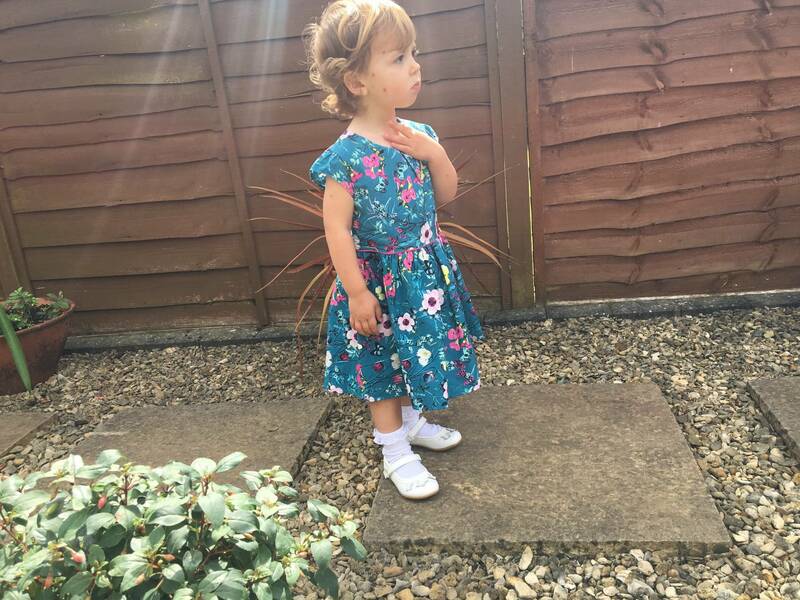 This summer is all about making the most of having Holly home with me before she starts school, when I won’t have a little sidekick by my side everyday. It reminds of this time two years ago when I was preparing for Alice to start school. I was determined to have the best summer, before we as a family entered the world of school. When we would be restricted by school holidays and routine. The start of that summer didn’t go to plan. On Alice’s last day at preschool, as we were making that walk home one last time, she said she felt tired and I thought it was tiredness from a very excitable day. But when we got home and she led down on my lap, I noticed some spots behind her ear and I wondered if it was the start of chicken pox. Alice asked to go to bed, which she had never done before and I didn’t hear from her until morning. When we woke up on the first day of the summer holidays, the one that I had been looking forward to so much, she was covered in spots. Our plans for the next week or so abandoned. We were meant to be going on our first family camping trip with some friends and we couldn’t go. Instead we spent the days either in the garden or snuggled on the sofa. Alice took it all in her stride, she didn’t complain once and we still had some lovely moments together. 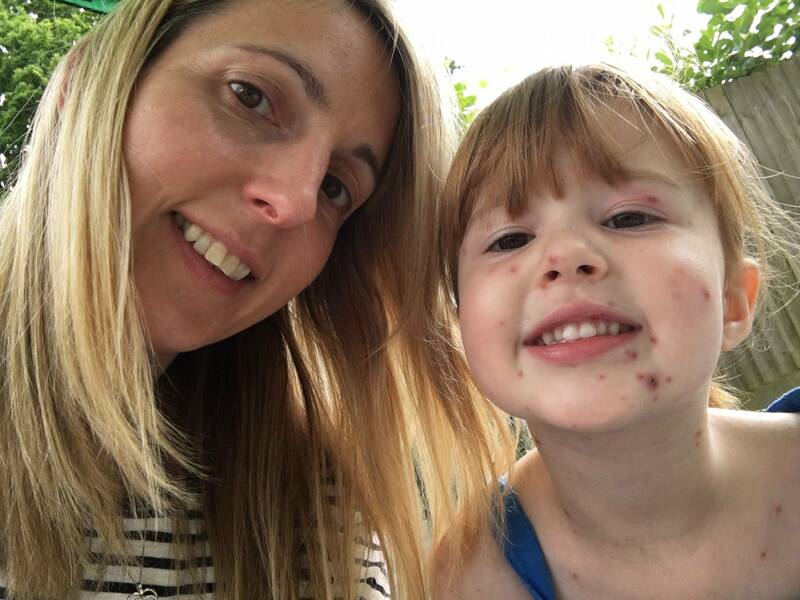 Chicken pox is incredibly itchy, as anyone who has had it will tell you and whilst people think we don’t want our children to scratch them because we don’t want them to have scars, which is true. But it can also cause broken skin which could lead to infections. I will always be thankful to my friend who told me to send Andy out to the shops to buy some Care Virasoothe gel, as it worked brilliantly for her children. As a parent I’m always grateful to receive advice from other parents at times like this. As there can be so much choice and you don’t know what works best. I was even more grateful when I applied it to Alice, whose first reaction was ‘this is cold mummy’ with a little laugh, to seeing that it actually worked. It took away that desire to itch! It helps to cool and soothe the skin and it was really easy to apply. Care ViraSoothe helps to cool the skin and relieve itching, which aids in reducing the desire to scratch the skin, where not scratching the skin can help prevent infection. Therefore, Care ViraSoothe helps to break the itch, scratch, infection cycle by helping to calm the persistent itch. Care ViraSoothe is non-messy, can be easily applied all over the body and face and is suitable for children over six months of age. It should be applied 2-3 times a day, or whenever relief is needed. Care ViraSoothe is available from Boots, Pharmacies and Supermarkets Nationwide, including Tesco. Ours days consisted of Alice lying in the bath a couple of times a day, as this really helped the spots and gave her a chance to relax. Then once she was dry, we would apply the Care Virasoothe gel, in fact she used to ask for it as it helped her so much. And just as we were over chicken pox and no longer house bound, giving us a chance to get out and about. Yes, you guessed it, Holly got chicken pox and we were back to being housebound. Our summer of fun was most definitely on hold! Holly was 23 months old and unlike Alice who understood not to scratch them, Holly was too young to understand this. It was also really handy that Alice had them first, because Holly had watched her sister be covered with Care Virasoothe gel and she was asking to be just like Alice. Win! Thankfully the Care Virasoothe gel soothed Holly’s skin and helped with the irritation and she hardly scratched at all. 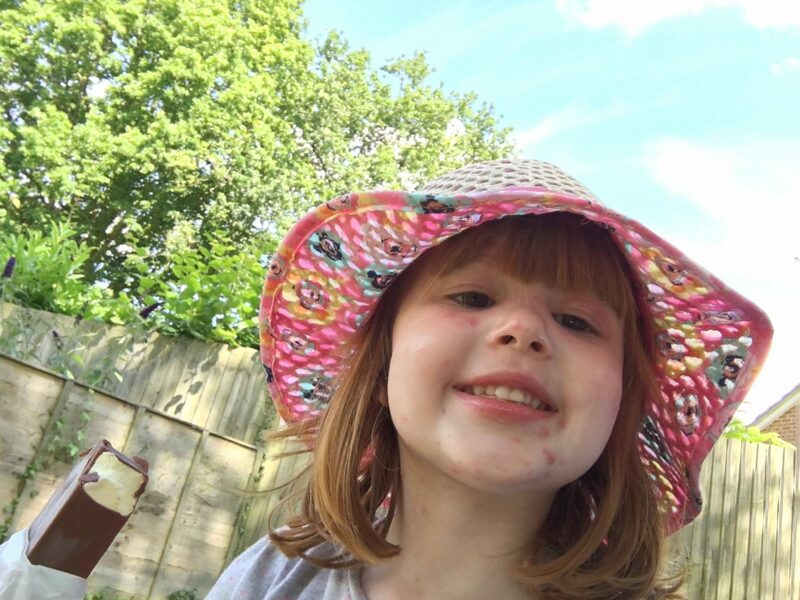 Both girls only had 1 nasty chicken pox, Alice’s was on her face and Holly’s was on the back of her neck. Alice has no scar and Holly only has a tiny one, which is covered by her hair. Whilst it wasn’t the start of the summer holidays that I was planning for, it was definitely easier with it being summer and we could go out in the garden. Plus they were both better and out of the incubation period in time for their joint birthday party. Have your children had chicken pox, what are your tips? Disclosure: The is a collaborative post with Virasoothe and I was compensated for my time. My daughter hasn’t had chickenpox yet and I am dreading it. I will definitely be getting some virasoothe when she does get it! Chickenpox is such a pain, my youngest caught it at eight weeks old but it was almost a blessing in disguise as he couldn’t itch. All three of my little ones have now had chicken pox and each one reacted very different to it, we too used ViraSoothe and it was amazing!! It seemed to ease the itching and none of them have been left with any scarring! Fingers crossed we are both done with it all now! All three of mine had chicken pox in the space of a week and I swear I almost went insane until we discovered Virasoothe!! Harry had it so bad, his spots all got infected and he ended up on antibiotics, and I still regret that I didn’t find Virasoothe until a week in. Within a few days the spots were noticeably better! Both mine have, thankfully! Athena woke up with them on her 3rd birthday, the day after we had a big party with all her friends – thankfully no reports of spots from the other kids, but her brother got it 2 weeks later. we used Virasoothe too and recommend it to anyone! What a leaving present from preschool! 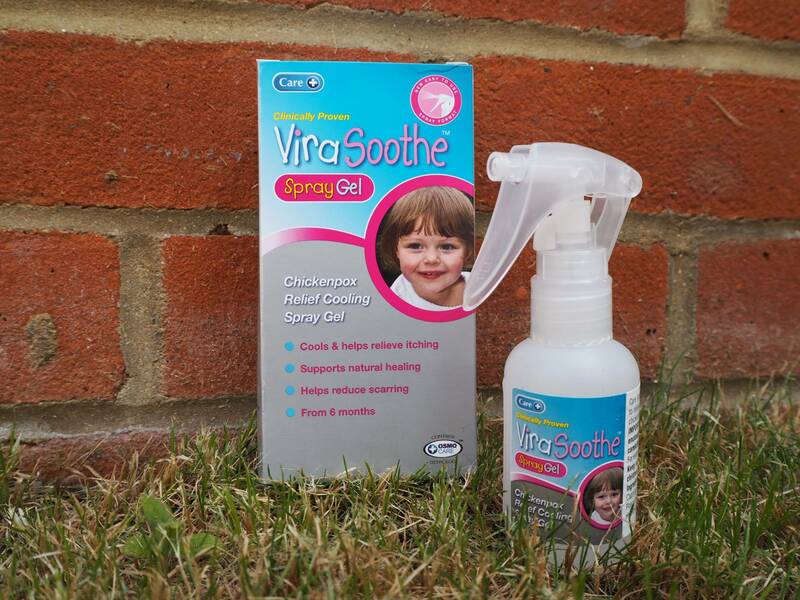 I hadn’t heard of virasoothe when my eldest had chicken pox and my youngest hasn’t had it yet. I want to get it out of the way, but also don’t want her to get such an uncomfortable illness.